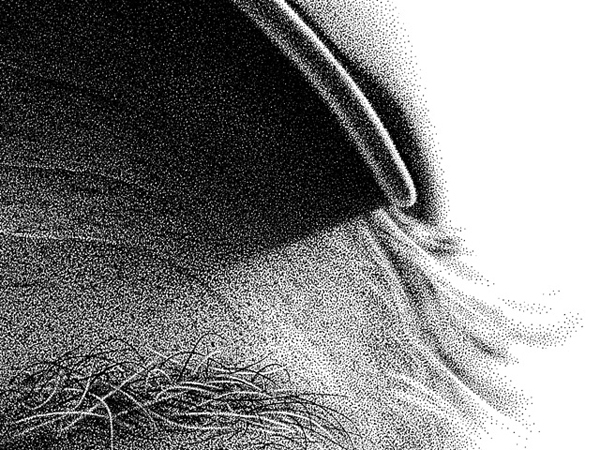 Miguel Endara is a great atrist known for his incredibly realistic dot drawings. 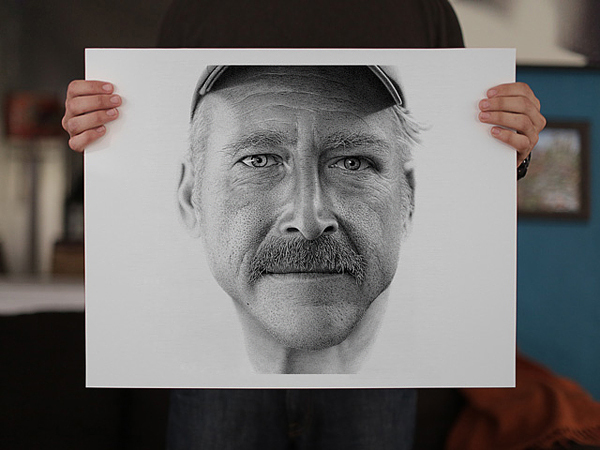 One of his art works – a portrait of Benjamin Kyle – is an attempt to support a man who can not get the help from the state. Benjamin Kyle now on the lips of Americans, eight years ago a man was found unconscious behind a Burger King dumpster with no belongings, no ID and no memory of who he was. At the hospital, the poor man adopted the name Benjaman Kyle, since he was unable to remember anything about his past life. Kyle, suffering from retrograde amnesia, still has memory of his former life. To complicate matters even further, Kyle is currently unable to receive a new social security number because of his peculiar situation, and is thus unable to get a job or register at a homeless shelter. 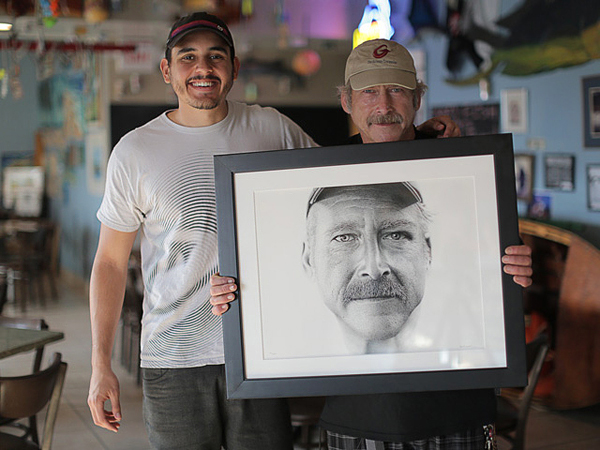 Artist Miguel Endara was one of many citizens who, after hearing Kyle’s story, wanted to help. 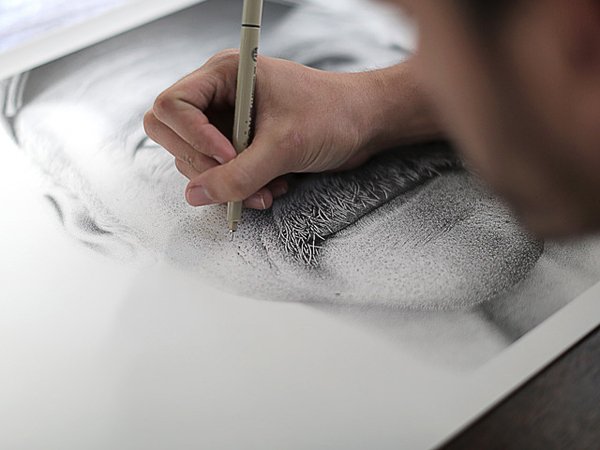 Miguel used his incredibly painstaking stippling technique to create a lifelike portrait of Kyle in 138 hours. 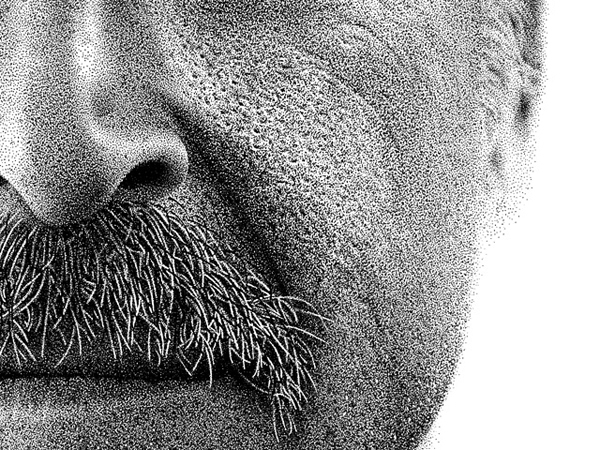 The final product contained 2.1 million dots, each applied one by one at an average of 4.25 dots per second. Endara was determined to raise awareness surrounding Kyle’s unimaginable tale. 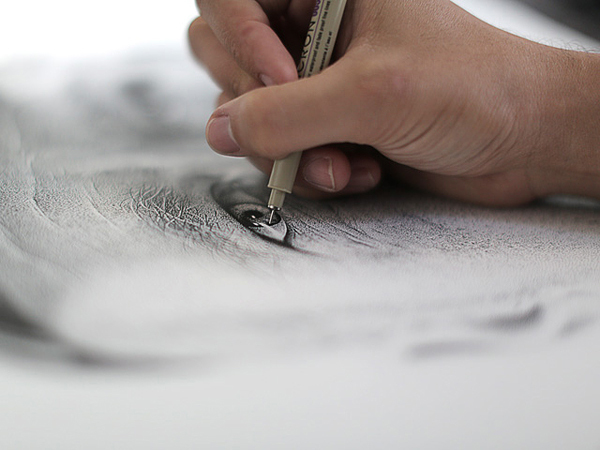 Through selling prints of the work for $90 each, Endara will donate half the proceeds to help his subject. But you don’t have to be an expert photorealistic artist to contribute; an online petition is currently circulating to grant Kyle a social security number and help him begin his new life. The deadline is December 25 and all you have to do is sign it. Learn more about Benjaman Kyle here.